This racket is suitable to smash the shots in all directions of the badminton court. They have a G2 grip size, which offers good control and grip for the players to smash the shots. These racquets are a preferred choice of the intermediate level players. 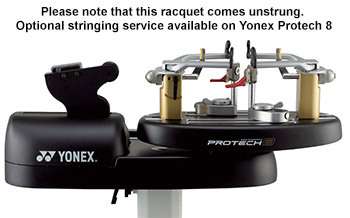 Players can enhance their delivery styles with the help of these racquets. Ashaway Speed GX 80 badminton racket has an isometric head frame with Power Tec Slim Head which can handle string tension up to 30 lbs. Players can deliver soft yet very powerful shots with the help of these rackets which using a Power Tube Technology in the Shaft. The frame and the shaft are made of Hi-Modulus Graphite and Nano Carbon materials.